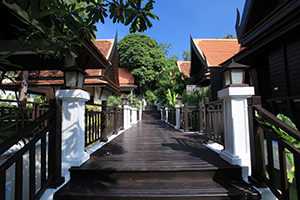 A contemporary reimagining of a traditional Thai house, Warin Spa creates a relaxing atmosphere amidst the lush tropical vegetation that's in harmony with nature. Rejuvenate with an indulgent spa treatment menu complete with facials, massages, scrubs, wraps and manicures and pedicures. 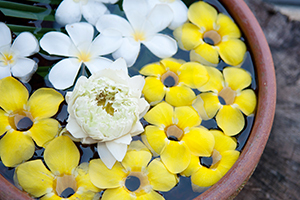 Using only the finest natural products, experienced therapists combine the best of Thai and Western techniques to restore balance and peace in your body and mind. 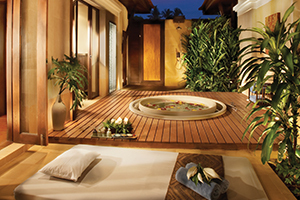 Choose from our five private spa rooms or the luxury suite, each featuring a steam room and outdoor jacuzzi.